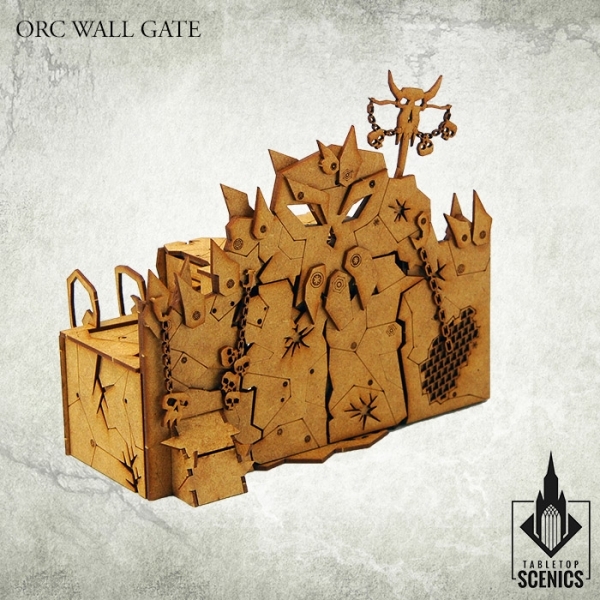 Contents of this frames may be used to make 1 Orc Wall Gate. 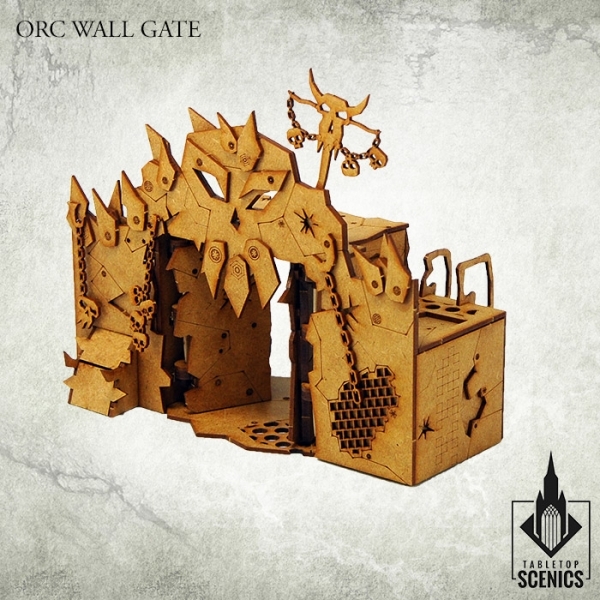 Dimensions: width 15cm, depth 7cm, height 12 cm. 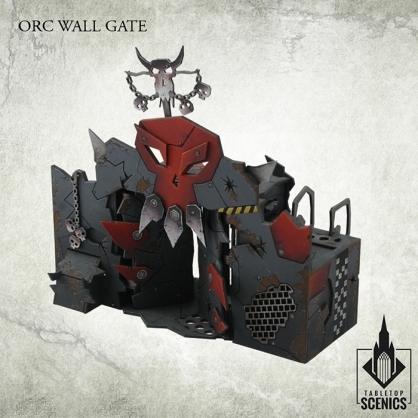 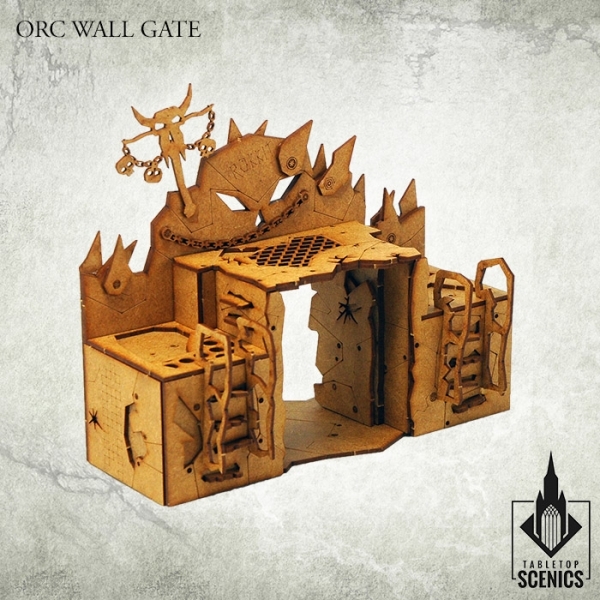 Scattered among the wall lines, Orc Gates are symbols of threat lurking behind them, waiting for the right moment to strike. 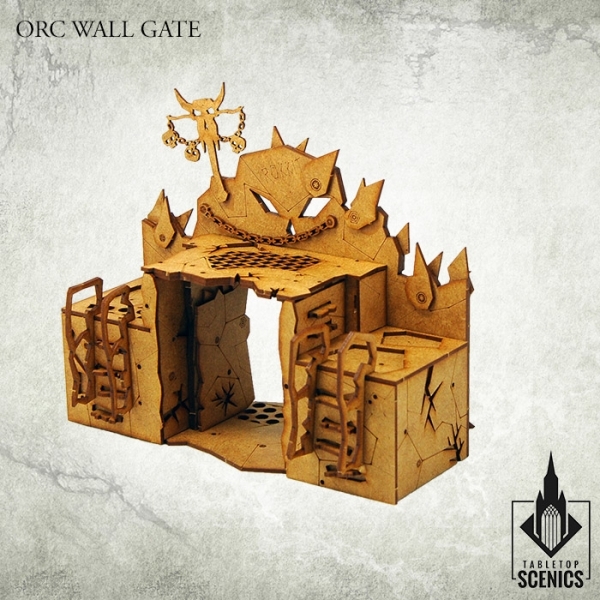 Adorned with battle trophies, each gate is watched over by a large, forged skull, recognizable by all Orc clan members. 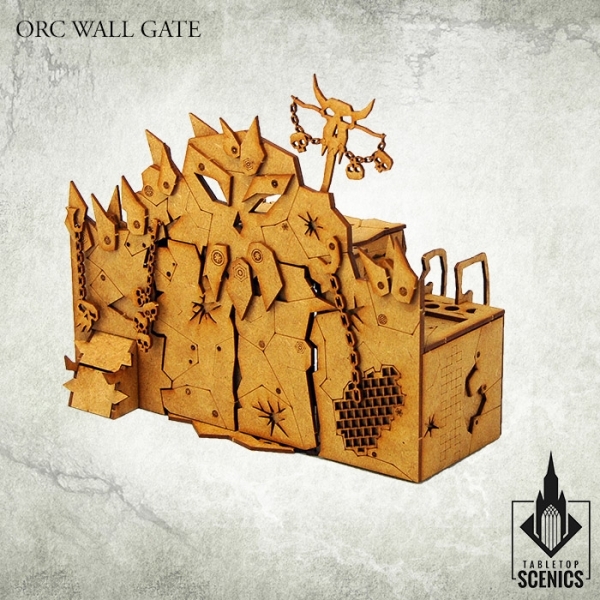 Every now and then, Orc warband will emerge from them going to pillage and counquer.